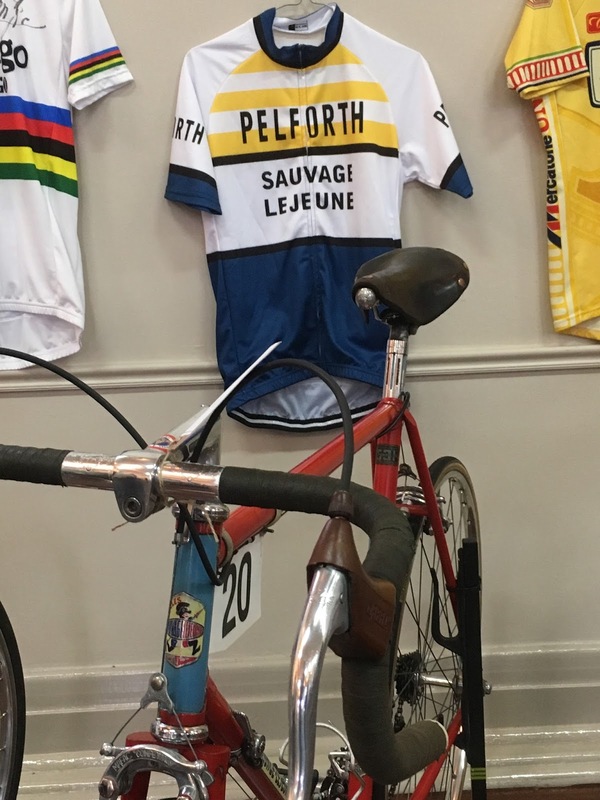 Saturday 15 July 2017 will be remembered for two very memorable cycling events. 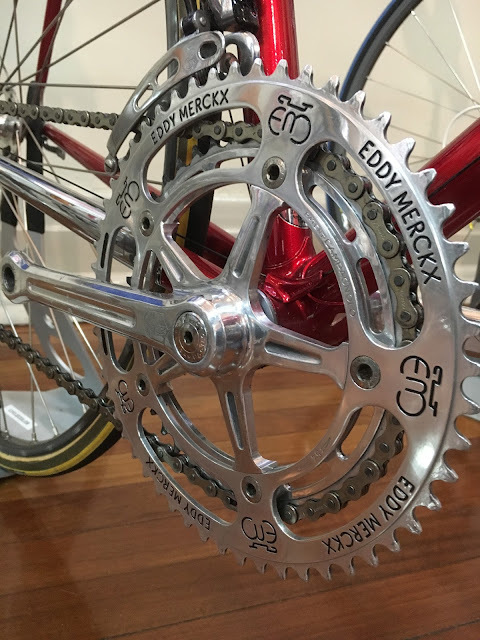 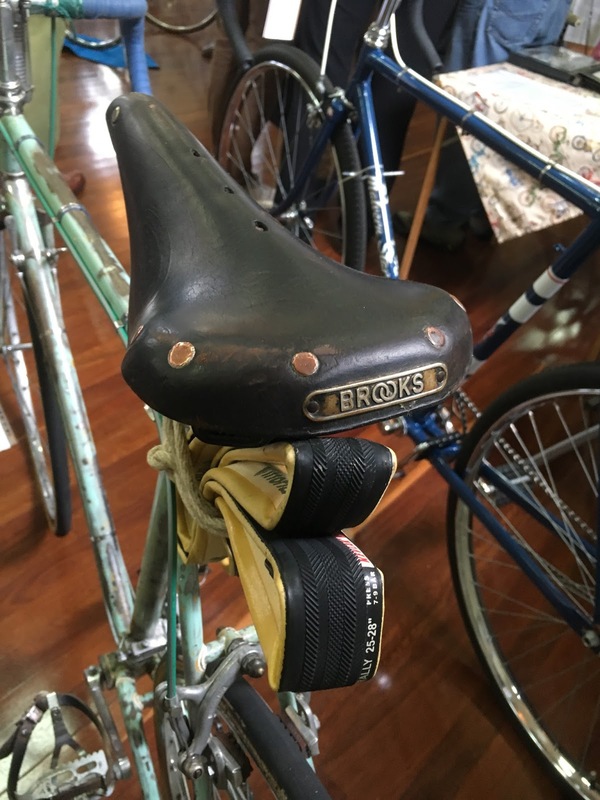 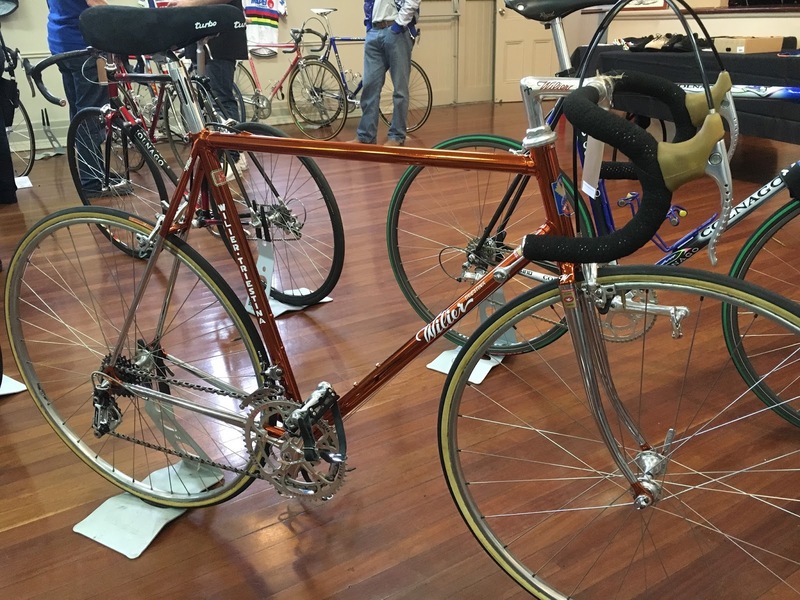 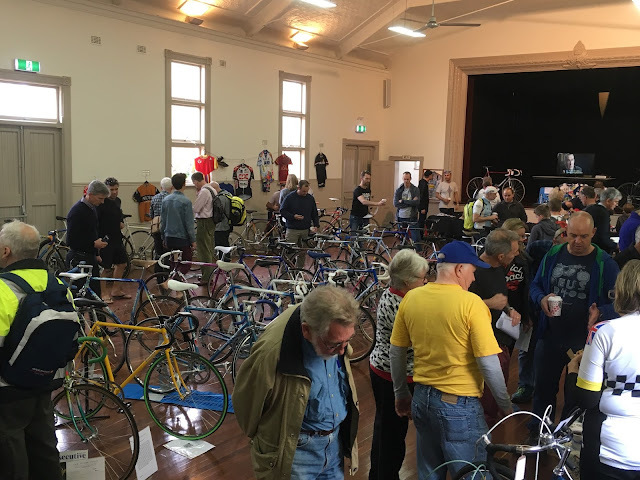 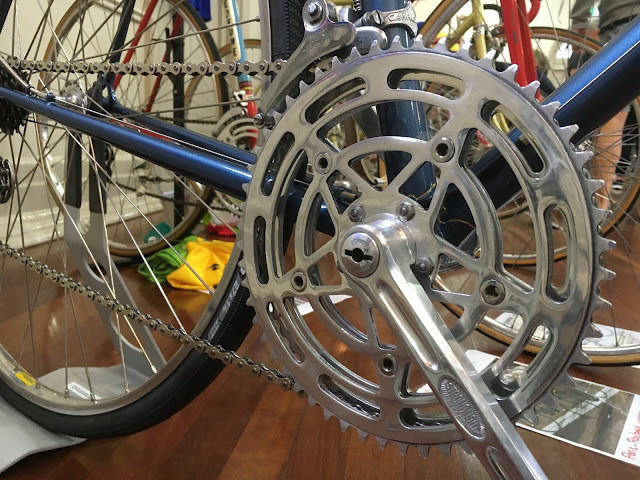 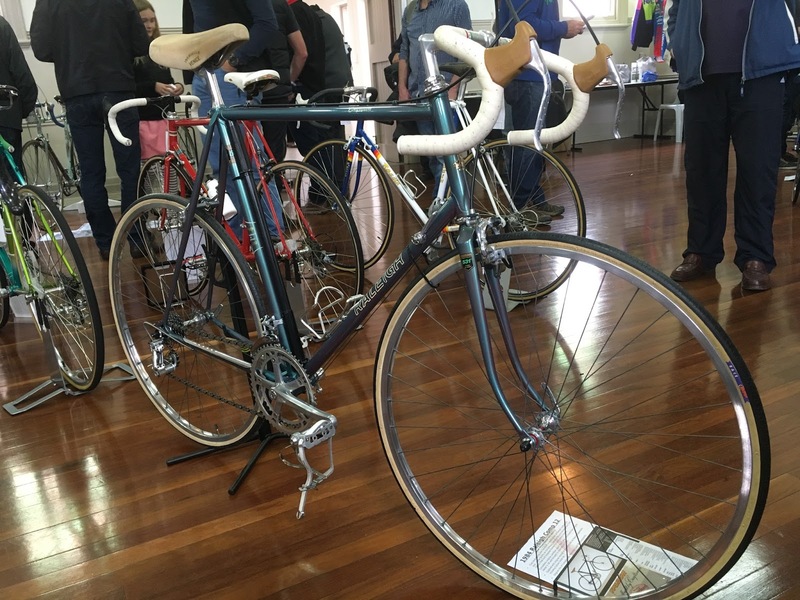 One of those important memorable events of course was the Perth Retro Bicycle Show that was held at the North Perth Town Hall. 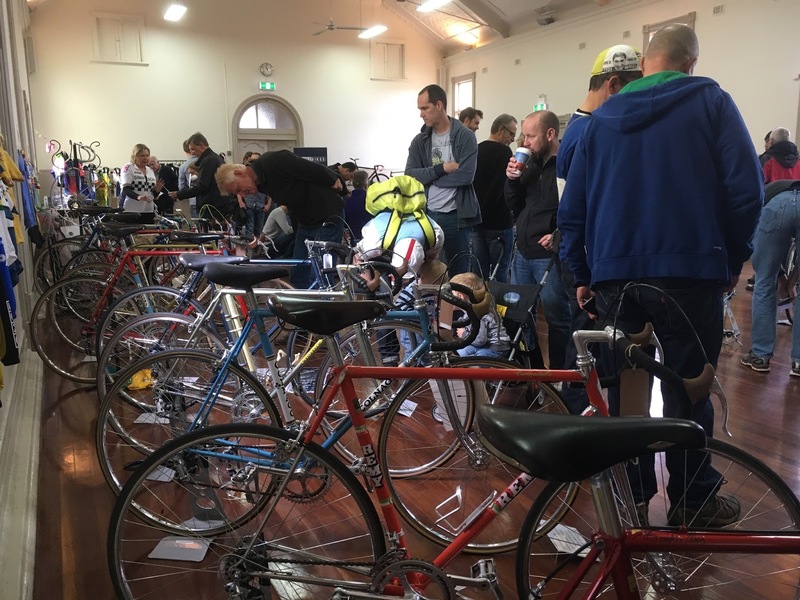 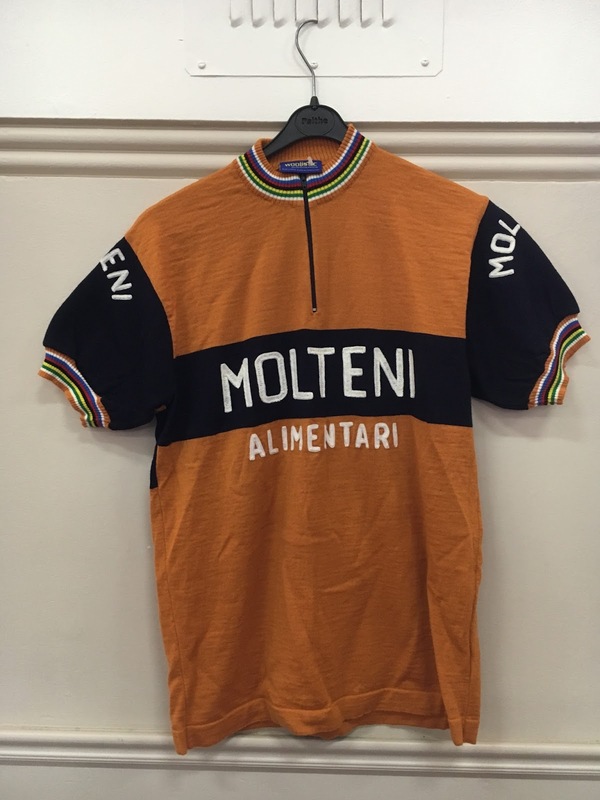 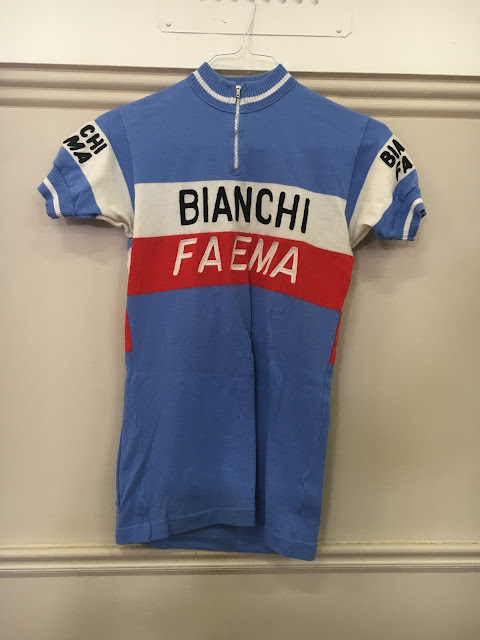 What a great day for retro cycling enthusiasts! About 80 pre-2000 dated road bicycles, including a selection of vintage cycling memorabilia and clothing was on display for the general public to see. An enthusiastic crowd spilled through the doors of the historical circa 1930's suburban town hall and many were very impressed with the high quality of beautiful retro bicycles on display. 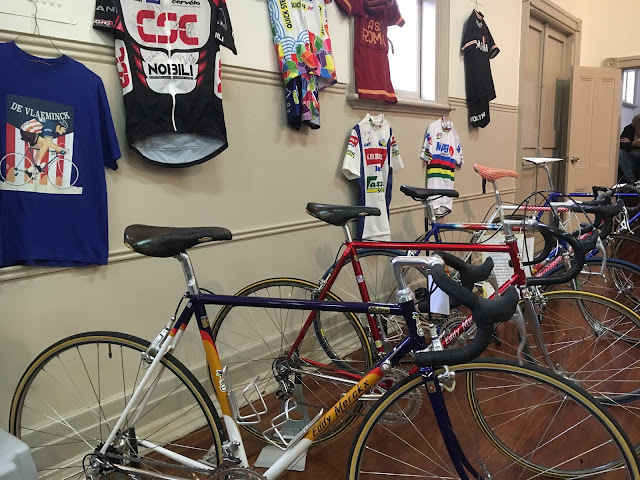 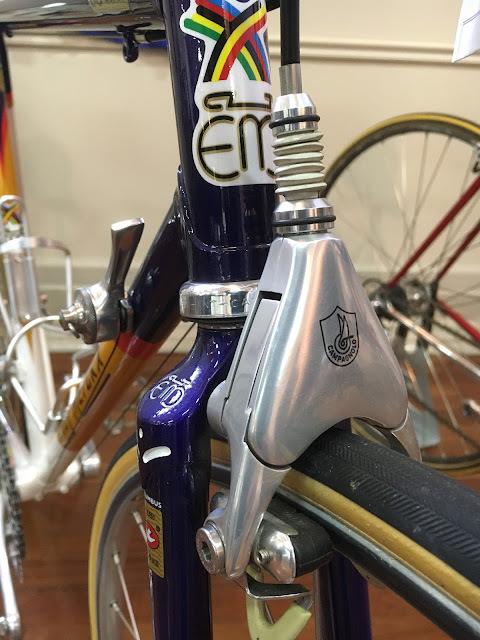 All the usual suspects were present - Colnago, Wilier, Raleigh, Eddy Merckx, and De Rosa, just to name a few. 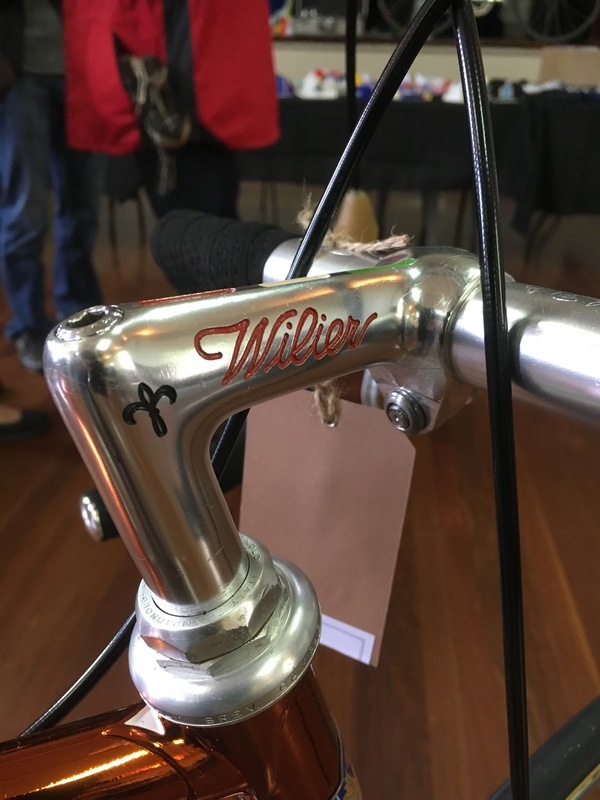 There were four competition categories but the 'Best Bicycle on Display' as voted by the general public award was the most prestigious. 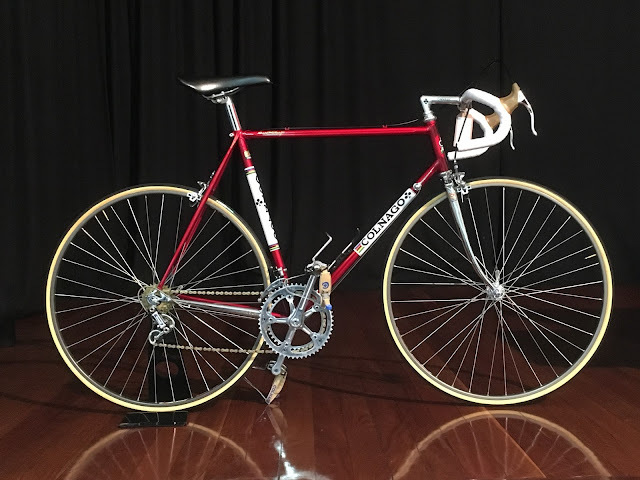 The winner of the award was a magnificent 1990's Wilier Cromovelato that is owned by Greg, one of the show organisers. The below images of the Wilier does not convey the beauty of the bike which is amazing to see in the flesh. 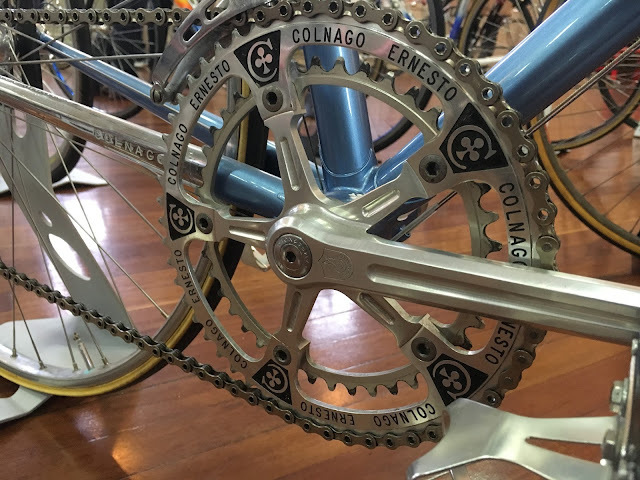 A fantastic example well worth the accolade. 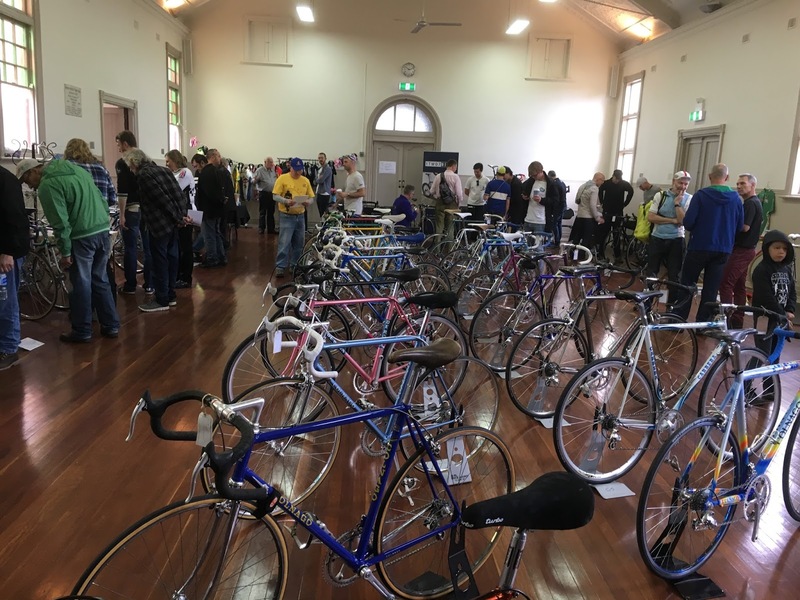 Congratulations to organisers John, Greg, and Cameron (Cyclecolor) for arranging the day that was greatly appreciated by all bike owners and those who attended the event. 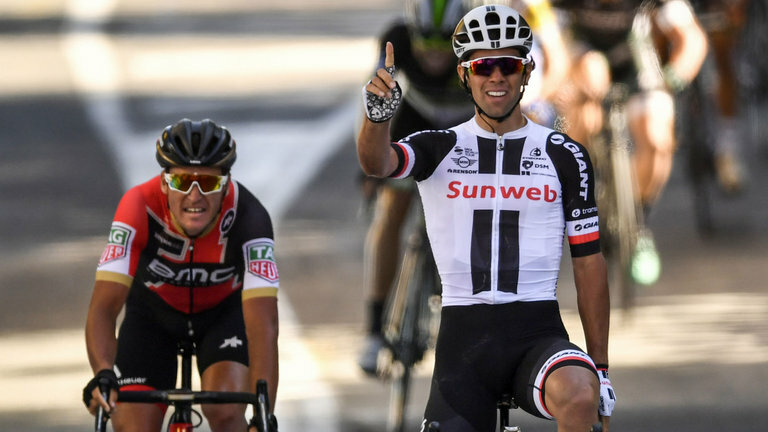 The second memorable cycling event of the day was the amazing efforts of Michael Matthews who won Stage 14 of the Tour De France bicycle race. What a great stage won by a true Australian cycling champion - well done Bling - the green jersey beckons!! 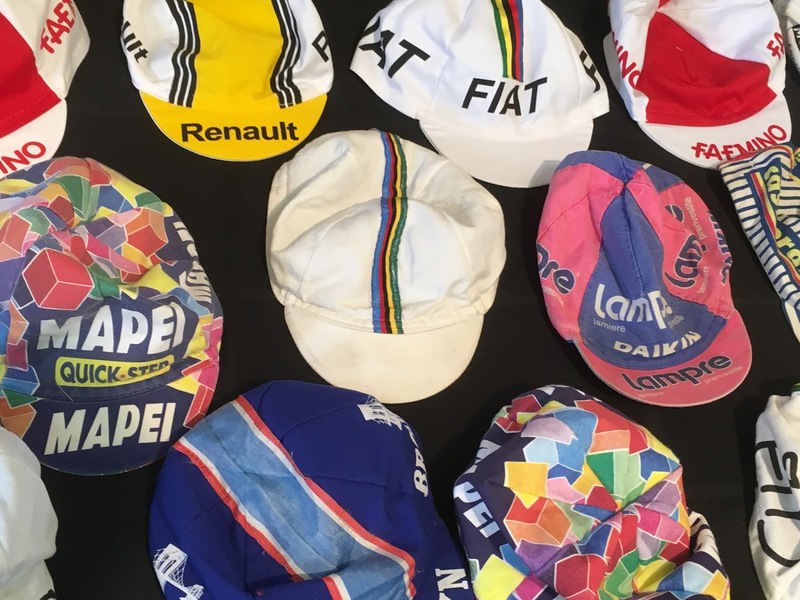 Stage 14 TDF victory for Michael Matthews. Labels: Michael Matthews, Perth Retro Bicycle Show, PRBS, PRBS 2017, Wilier Cromovelato.